Kareena and Saif were widely criticised on social media for the unusual choice of his name. Twitter asked if he was named after Timur, the Central Asian invader who sacked Delhi in the 13th century. Saif had then clarified that the Turkish ruler was Timur and their son was called Taimur. Of the massive trolling, Kareena said, “Of course, there was trolling but at the same time there was an immense support from the people we were getting, not that trolls matter to us that much but it was our choice,” IANS reports. Taimur’s pictures often make it to the top trends. His pictures of attending birthday parties, enjoying a swing ride, at the airport with mom Kareena or at the play school always go crazy viral. Some weeks ago, his pictures with parents Kareena and Saif, reportedly from Udaipur, went viral. Of the paparazzi attention Taimur gets, Kareena said, “Now I do not like the fact that Taimur’s every move is monitored… and people even talking about his hairstyle and all… I mean. He is just 14 months old. I do not know how to control it now. Having said that I think he is becoming more familiar with the camera now, he looks right into the camera,” IANS reports. Meanwhile, Saif had earlier said, “Kareena and I knew there would be media interest in our son. 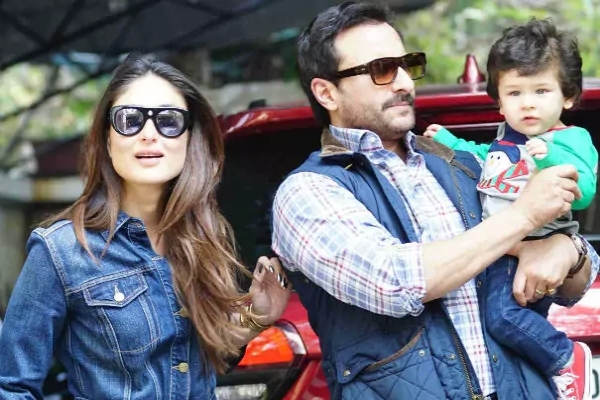 It’s hard to bring up kids without the attention; I don’t know how he is going to react to the attention when he grows up.” Kareena Kapoor and Saif Ali Khan married in 2012. Taimur was born in December 2016. They celebrated Taimur’s first birthday in Pataudi.